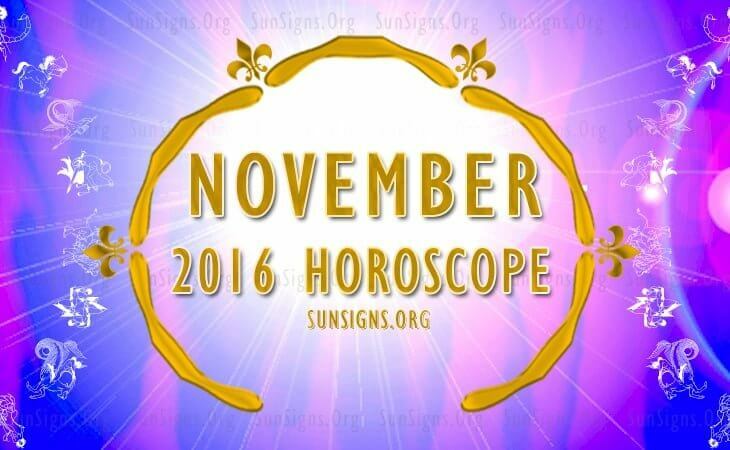 Welcome to the monthly predictions for November 2016 brought to you by SunSigns.Org. Here is your chance to get a detailed astrological report on your health, wealth, finance and career. Horoscope 2016 predictions foretell about the whole year in a brief manner. If you wish to know in detail about each month for the 12 zodiac signs, you need to take a look at the monthly horoscopes 2016. Let’s start right away! Go through the monthly predictions for Aries, Taurus, Gemini, Cancer, Leo, Virgo, Libra, Scorpio, Sagittarius, Capricorn, Aquarius and Pisces zodiac signs for November 2016 right here! In November 2016, the Aries zodiac will be worried about self-awareness. This is a good month to begin a new business. Wealth generation will be a priority for the Rams this month. Including broccoli, zucchini, bell pepper in your diet will be helpful. 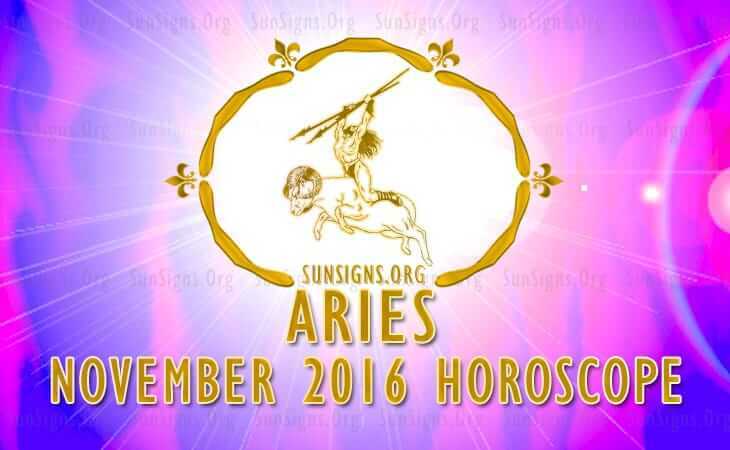 Click Here To Read Full 2016 Aries November Horoscope. The Taurus star sign will have to adapt to people and situations in November 2016. You can expect money from unexpected sources. The bulls will be lucky in love. Here are a few vacation tips. There will be excellent progress on the professional front. 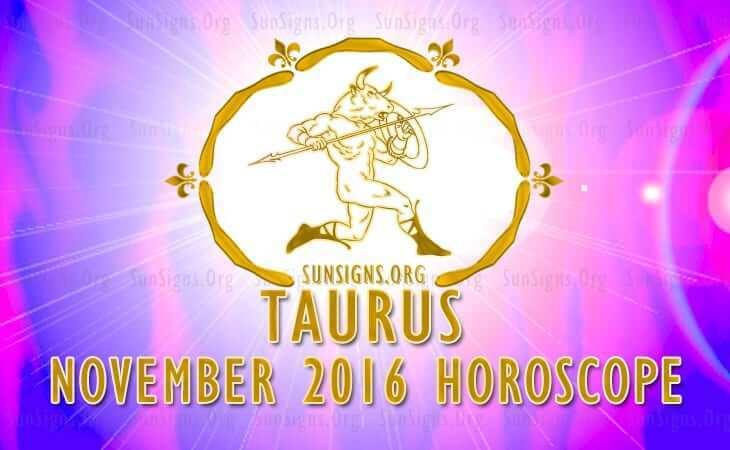 Click Here To Read Full 2016 Taurus November Horoscope. Gemini, you should focus on your career growth in November 2016. Money will come in from new projects. There will be plenty of social activities and partying. You might even become serious about marriage. Beauty and fashion will be the priority for the Twins. 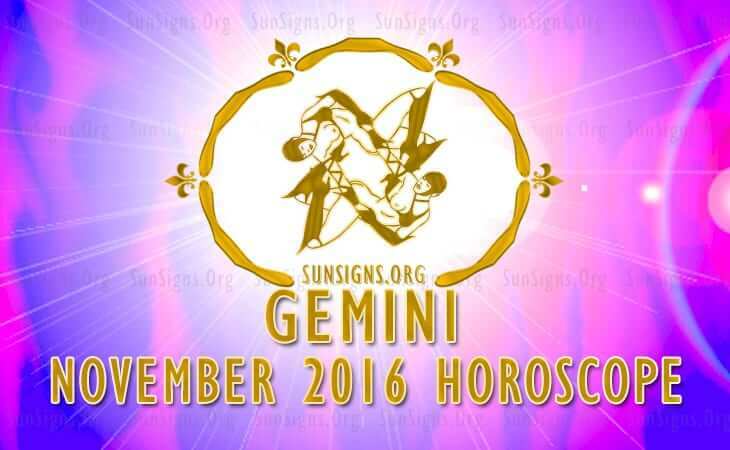 Click Here To Read Full 2016 Gemini November Horoscope. Career will become a priority for the crabs towards the end of November 2016. Risky investments will yield good profits. Cancer zodiac will fall in love with the right partner. Boost your health by regular walking and drinking coconut water. 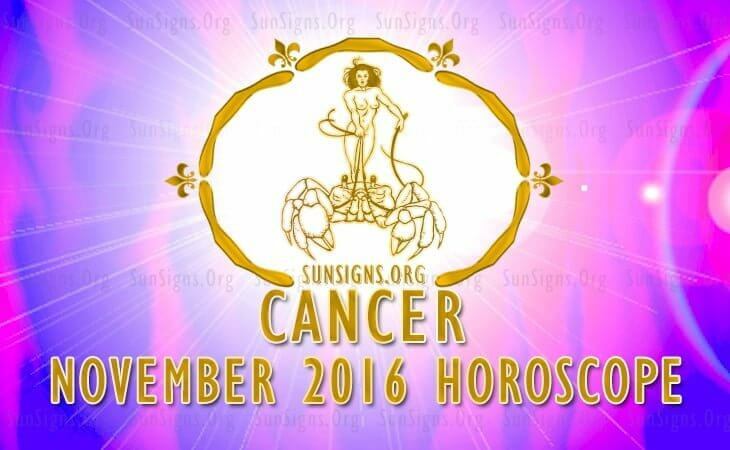 Click Here To Read Full 2016 Cancer November Horoscope. November 2016 is a slow month for the Leo star sign when it comes to career and jobs. Use this time usefully to improve your existing love partnerships. This is also an excellent time to plan for a pregnancy. Eat healthy foods like carrots to lose stomach fat. 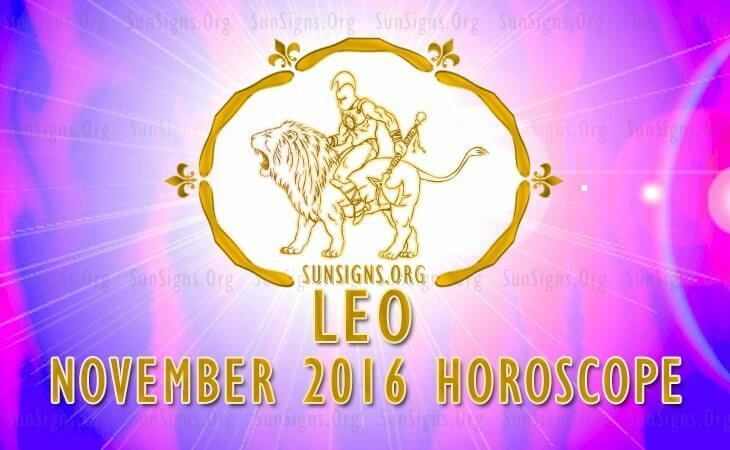 Click Here To Read Full 2016 Leo November Horoscope. 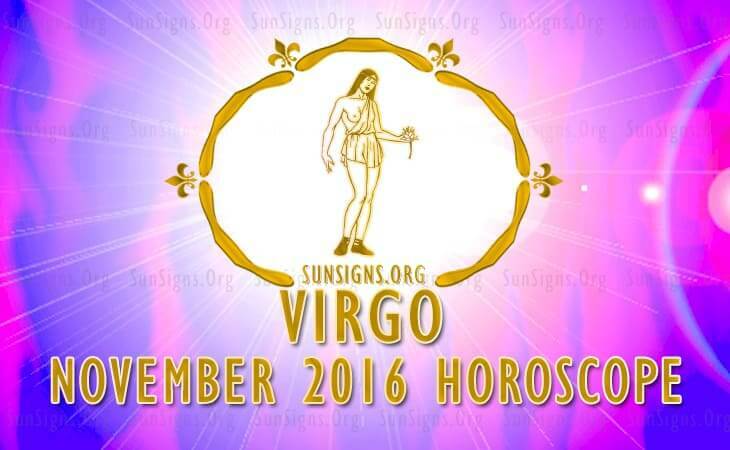 November 2016 is ideal for the Virgo sun sign for formulating future career goals. Spend time with your family and friends. You may go for a new job or start a new business towards the end of the month. This month will be excellent in terms of income and savings. Click Here To Read Full 2016 Virgo November Horoscope. The Libran financial status will be good in November 2016. You might be wondering if your girlfriend is the Mrs. Right for you. You need to become more active and reduce your indulgence in food. Mental fitness is important for the Libra star sign this month. 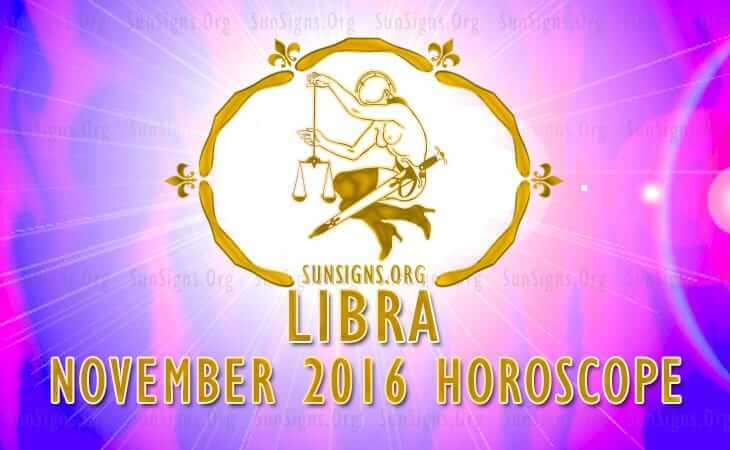 Click Here To Read Full 2016 Libra November Horoscope. The House of the Self is very powerful for the Scorpio zodiac sign in November 2016. Do not take up jobs and deals in business that you cannot complete. Your emotional health might be down this month. This will also reflect on your relationships. Take it easy! 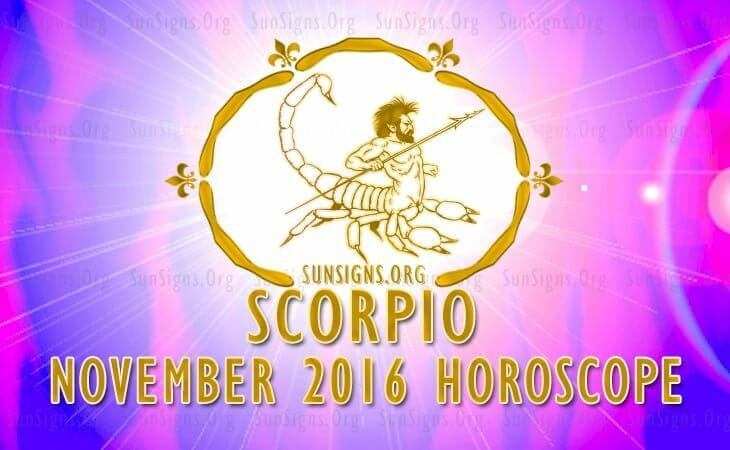 Click Here To Read Full 2016 November Scorpio November Horoscope. Spiritual matters will dominate the Sagittarius zodiac sign in November 2016. Your birth chart predicts a few challenges and obstacles. Be mentally and physically fit to face all problems in life. Eating healthy will clear your mind and make you energetic. 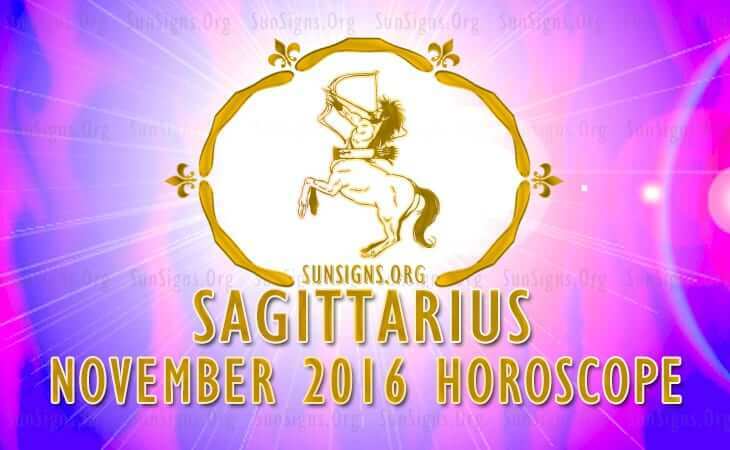 Click Here To Read Full 2016 Sagittarius November Horoscope. The November 2016 astrology forecasts for the Capricorn star sign show that progress in career will be excellent. Earnings too will be excellent for the Goats. Breakup of relationship is on the cards. Move ahead and enjoy life to the fullest. 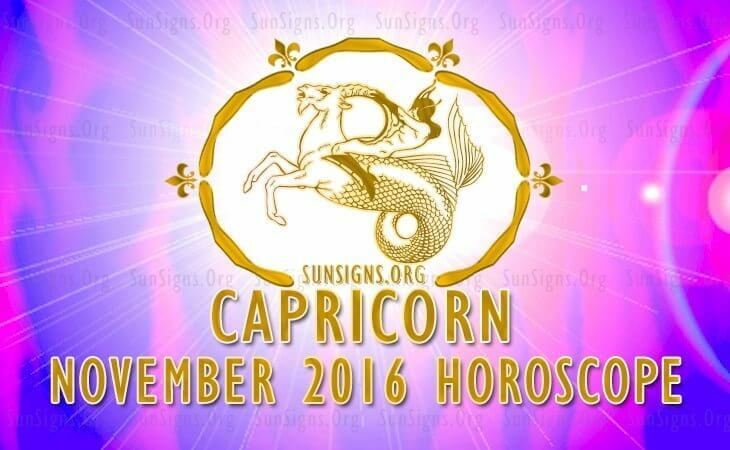 Click Here To Read Full 2016 Capricorn November Horoscope. Professional progress and financial status will be at an all time high for the Aquarius sun sign in November 2016. Marriages or pregnancy are unlikely this month. You will be busy with work. Reduce stress by meditation and yoga exercises. 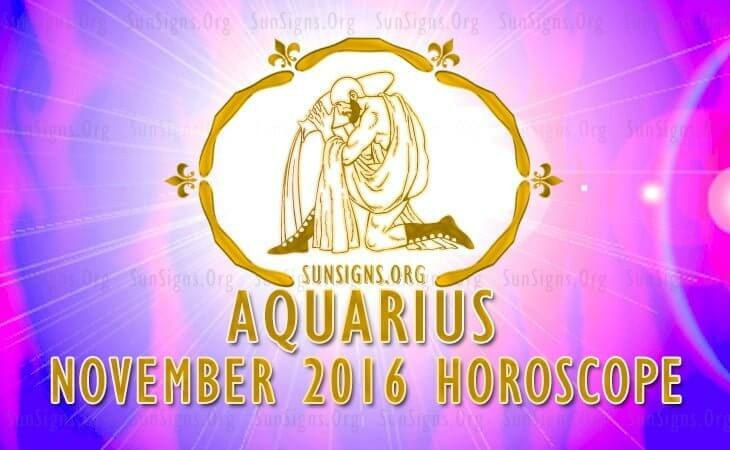 Click Here To Read Full 2016 Aquarius November Horoscope. The Pisces 2016 November predictions suggest that you are at the annual peek of your career this month. You won’t have much time for home and family. Income will be good but expenses too will be high. Here are a few tips to pamper your partner. 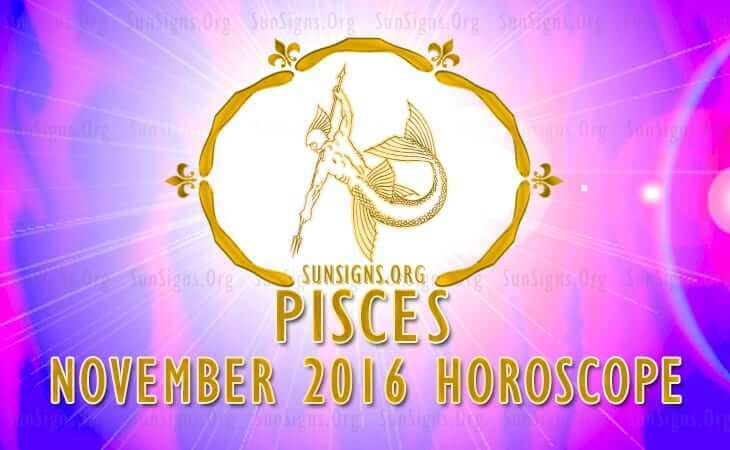 Click Here To Read Full 2016 Pisces November Horoscope.